Below is a list of YARC members who will be missed but not forgotten. November is Lloyd Halgunseth Memorial Month. Come and remember Lloyd. 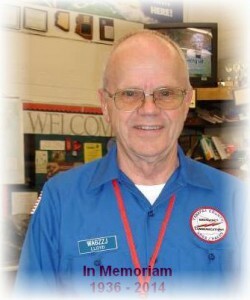 In memory of Lloyd, wear your blue ARES/RACES shirt or your YARC shirt. Beginning in 2018, Silent Keys are listed on the Members Only page. On the Roster page, click the “Active” button several times to get the “Silent” button to appear. This page displays Silent Keys.